This year, we had an early Mother's Day celebration as my finals falls on early May. We stumbled upon this worthy deal on Groupon and after doing some research on the net, we decided to try it out! 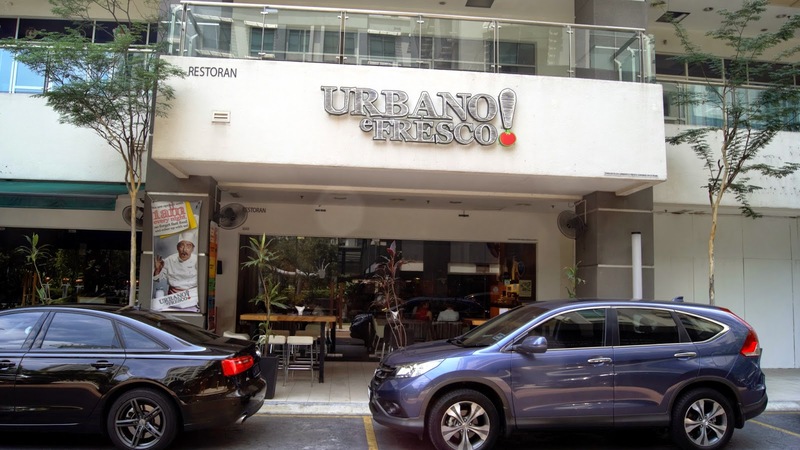 Urbano e Fresco, an Italian restaurant that hails all the way from Rome, Italy. Seems really promising, isn't it? The clean & simple facade of the restaurant was really welcoming , and yes, it's appearance definitely wasn't just for "show". 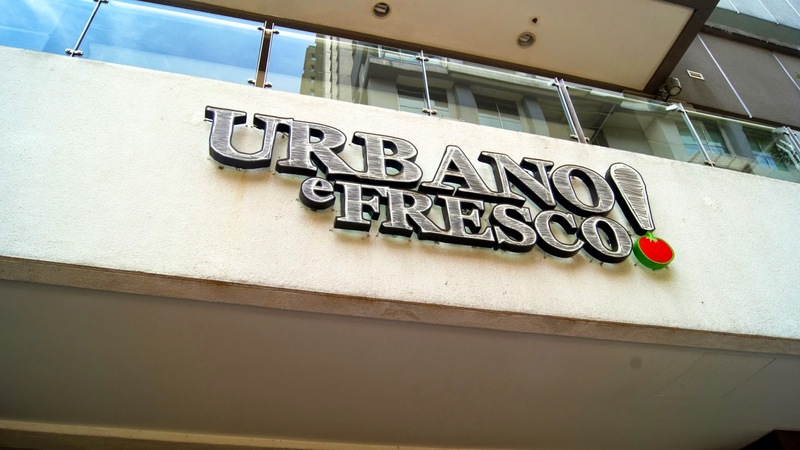 Step into Urbano e Fresco, and we were greeted warmly by their staffs. 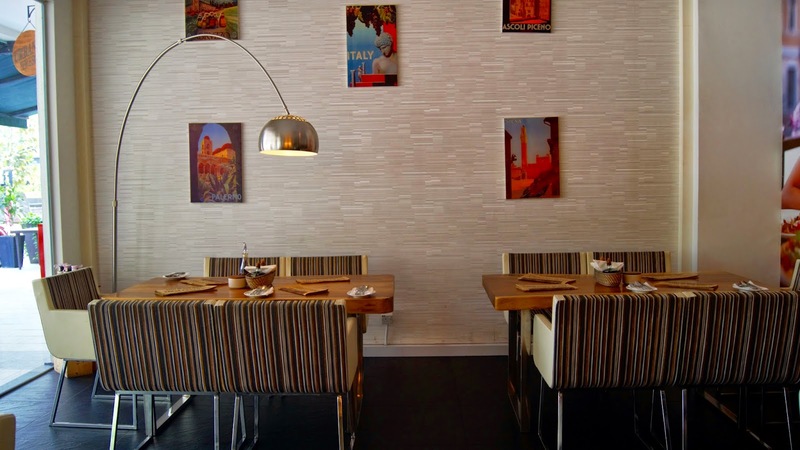 The simple yet classic interior of Urbano e Fresco emits a friendly & welcoming vibe which made us felt at home. 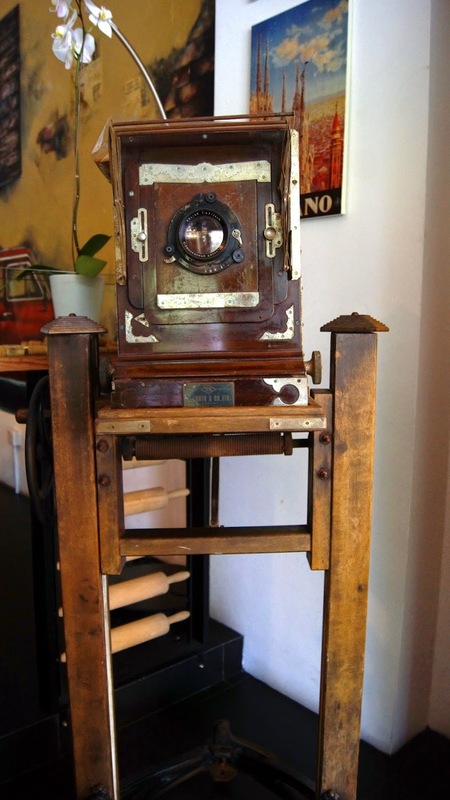 Colourful paintings & posters adorned the clean white walls, with creative & quirky kitchen tools and old antiques being put to good use, as a beautiful decoration that gives this place a touch of rustic feel. 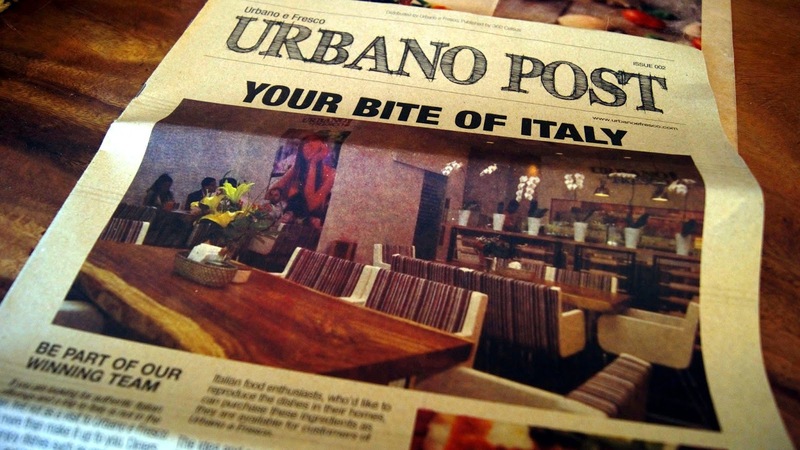 The menu- transcript into a newspaper, was rather fun & interesting to read. 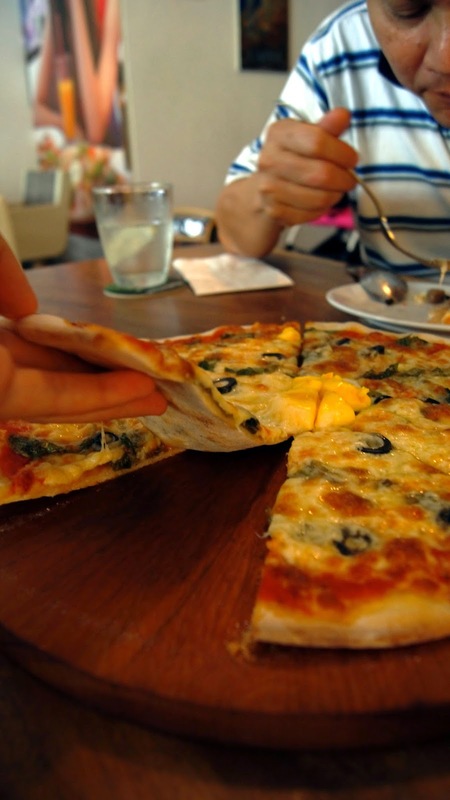 It comprise of the food & description, price of course, and also some fun facts about Italy & their food. There's even a fun section with crosswords and puzzles to solve. Ahhh, reminds me of those kids menu days. The full menu is available on their Facebook page too! We bought the 6 person set which comes with 2 pizza, 2 pasta, 2 bruschetta and 2 salad on Groupon, even though there was only ...4 of us. Brother insisted that the 4 pax set is not suffice for our family so...yeah. Toasted Ciabatta with Olive Oil, butter & garlic spread. 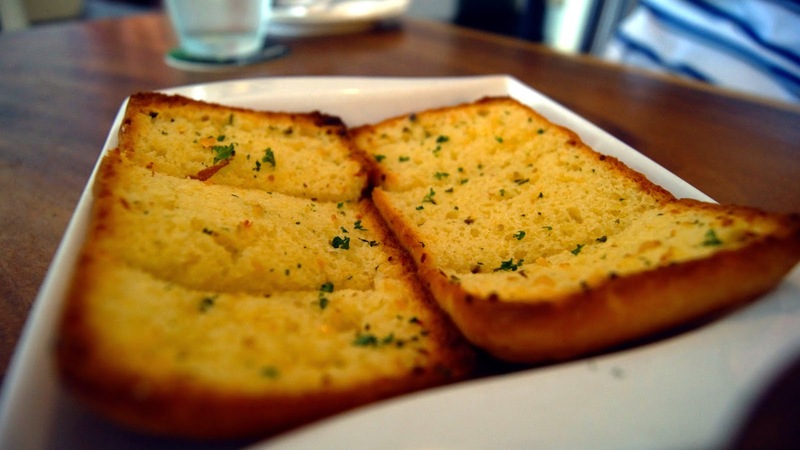 Crunchy & rich in buttery & garlic aroma, this simple appetizer was rather appetizing & delightful. 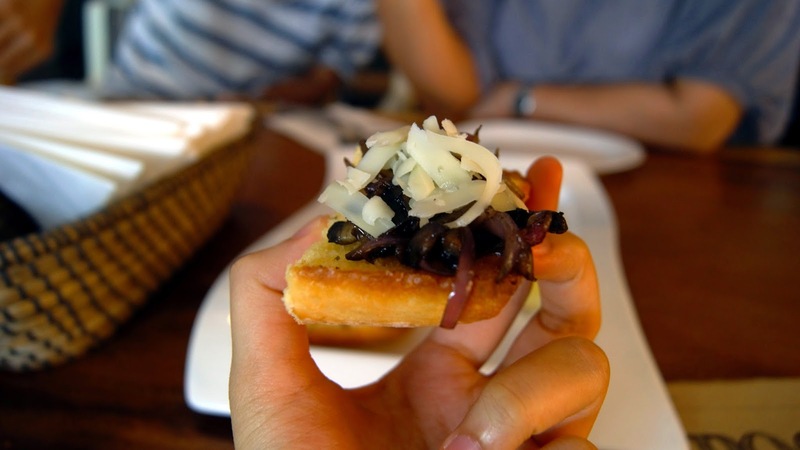 Toasted Ciabatta with Olive Oil, butter, sauteed mushroom & topped with shredded cheese. 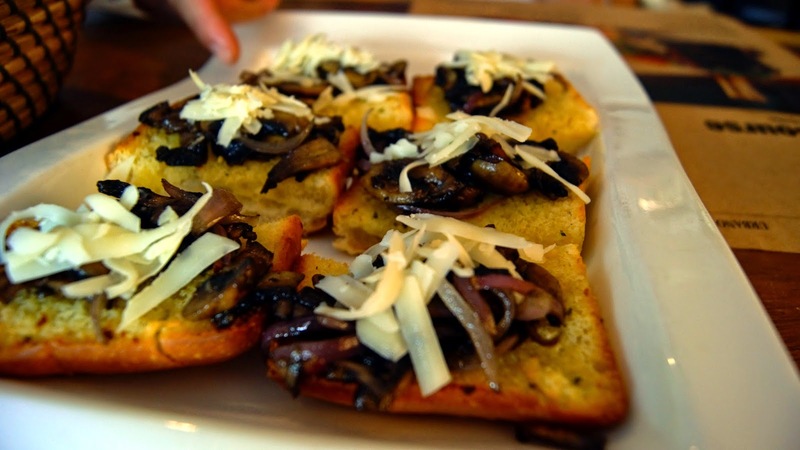 Like the garlic bread, this dish was a pleasant one, with the addition of juicy sauteed mushroom that brings the "oomph!" to you. 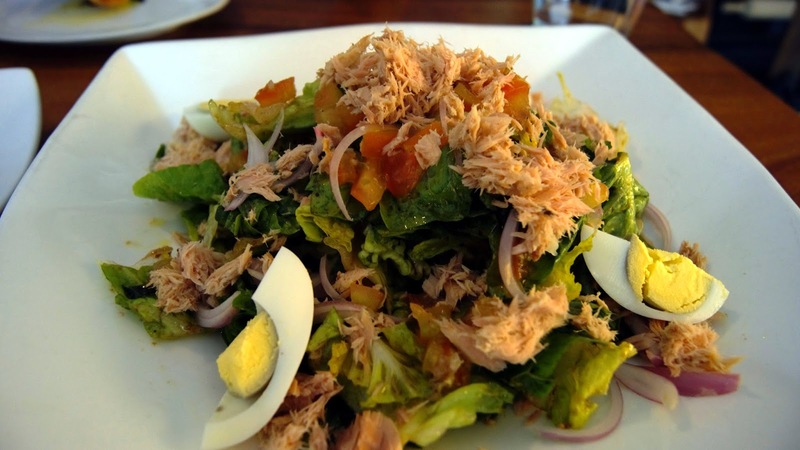 Mixed Green topped with tuna flakes, hard-boiled eggs, chopped tomatoes and sliced onions. With fresh ingredients, and generous toppings, comes a good salad. The salad was really refreshing, as it was a perfect respite from the usual calorie-ladden mayo-based salad. 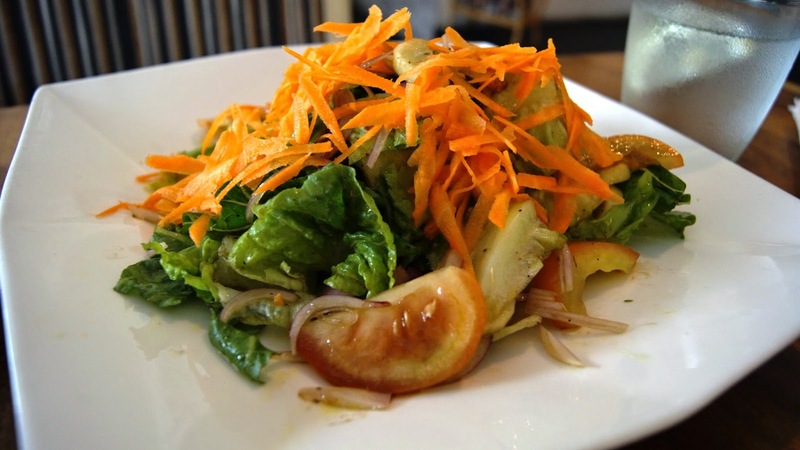 A simple salad with fresh mixed green, chopped tomatoes & onions and shredded carrots with a sourish yet refreshing & tangy dressing. What could possibly go wrong? We were allowed to choose any toppings we want (except for seafood toppings) for our pizza. 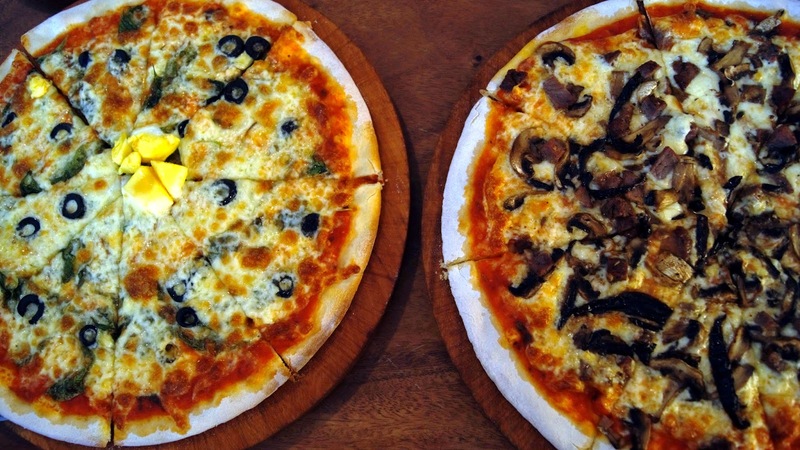 We took a while to choose as the selection of toppings at Urbano e Fresco was vast! 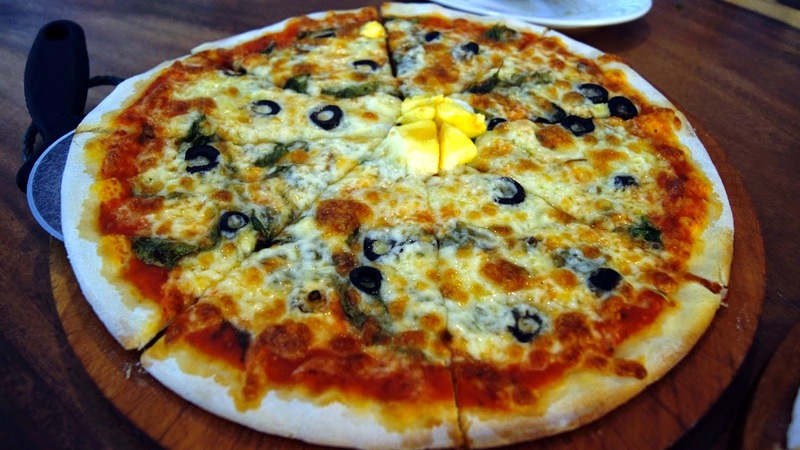 Thin crust, loaded with lots of cheese and toppings! The crispy base of the pizza was really enjoyable. 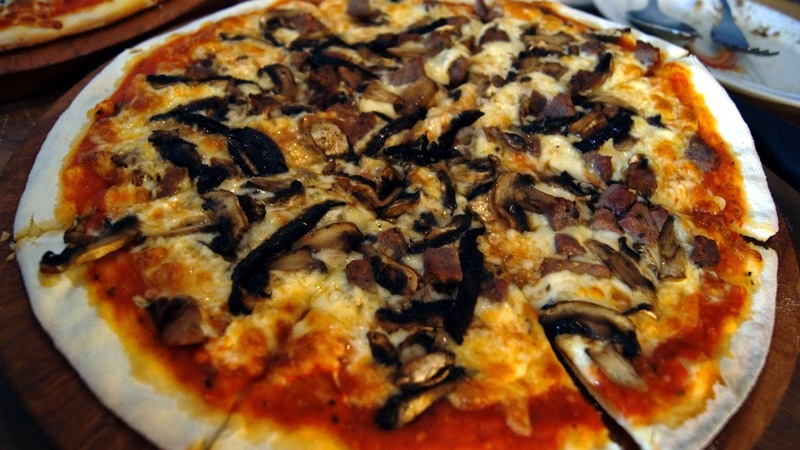 I absolutely adore the sirloin strip- it was tender and succulent, goes very well with the crispy thin crust pizza, topped with juicy mushroom and generous amount of cheese. Ahhh...a memorable taste indeed. 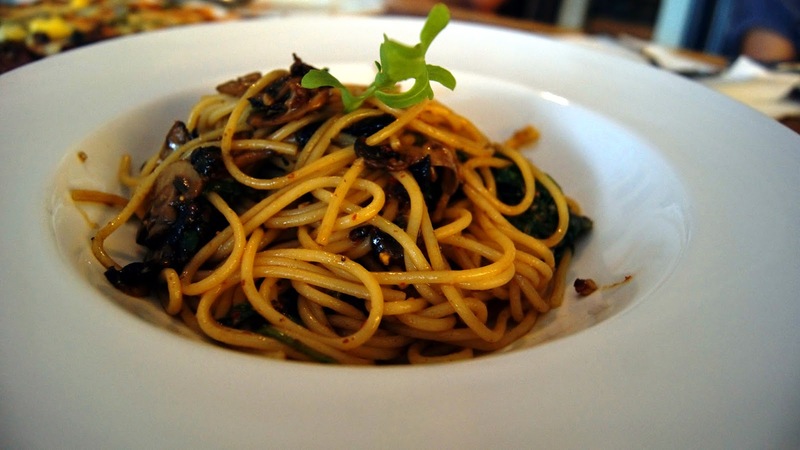 Each noodle were cooked till el dente, perfectly coated with Extra Virgin Olive Oil, herbs & black pepper. I love how the black pepper give it an extra "kick" , although those who are not too fond for it will disagree with me. The carbonara sauce was sinfully rich, each bite was bursting with flavours. However, as I proceed with my third & fourth mouth full it started to get a little too cloying. 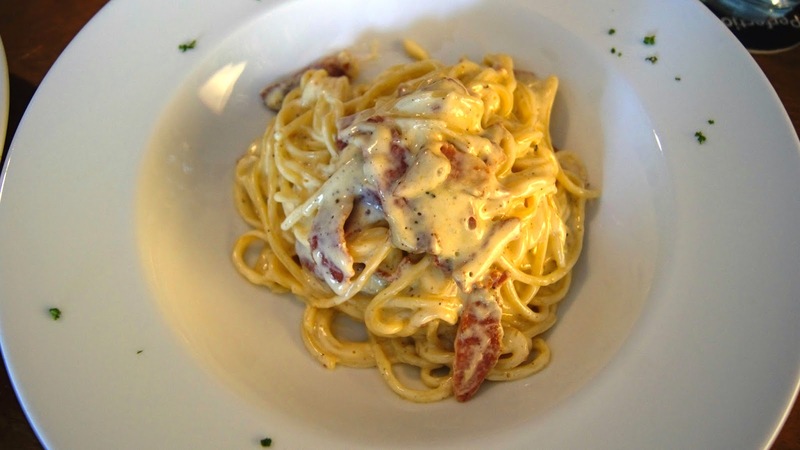 It was good- but it'd be a great dish to share due to the overwhelming richness of the carbonara sauce.